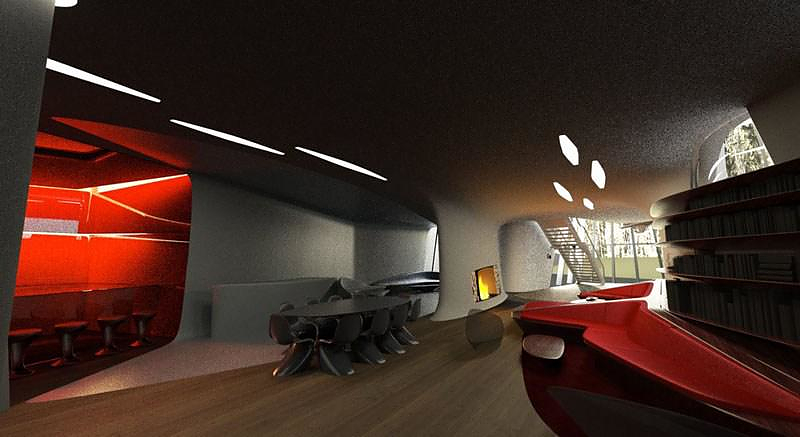 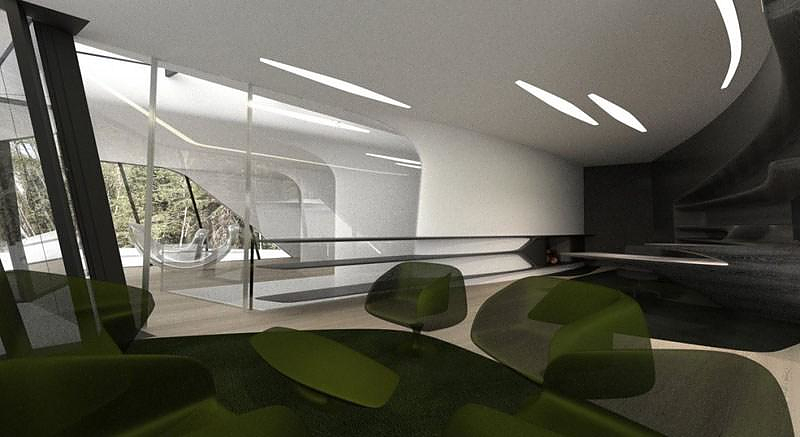 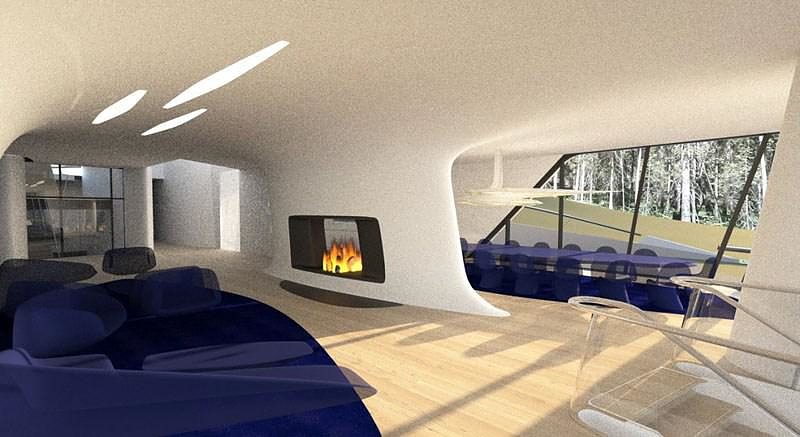 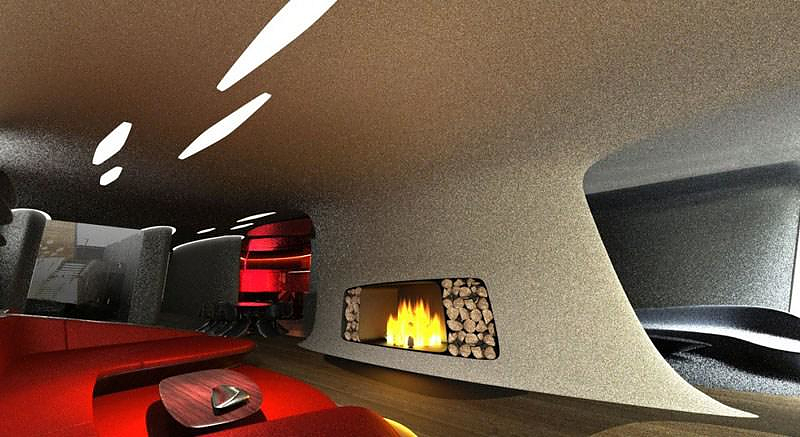 Zaha Hadid designs a spaceship house for Naomi Campbell. 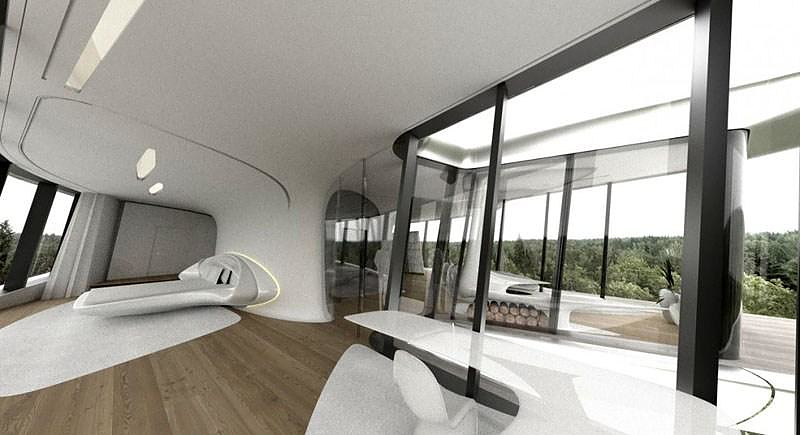 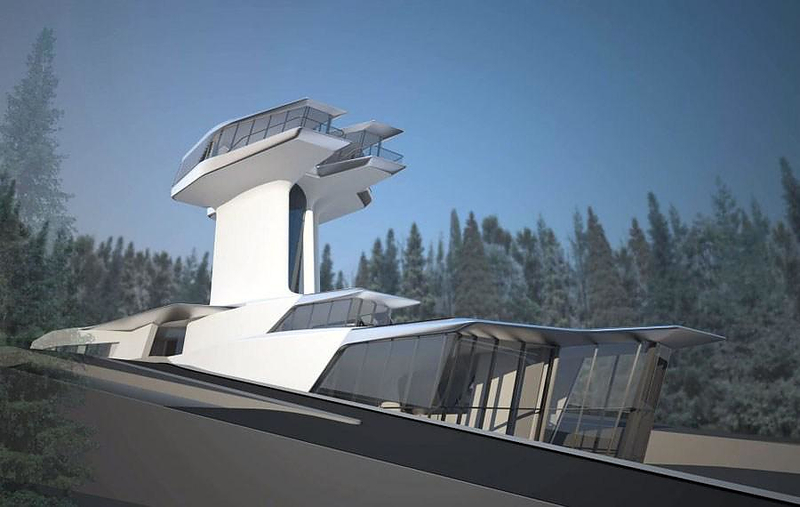 HomeBlogArchitectureZaha Hadid designs spaceship house for Naomi Campbell. 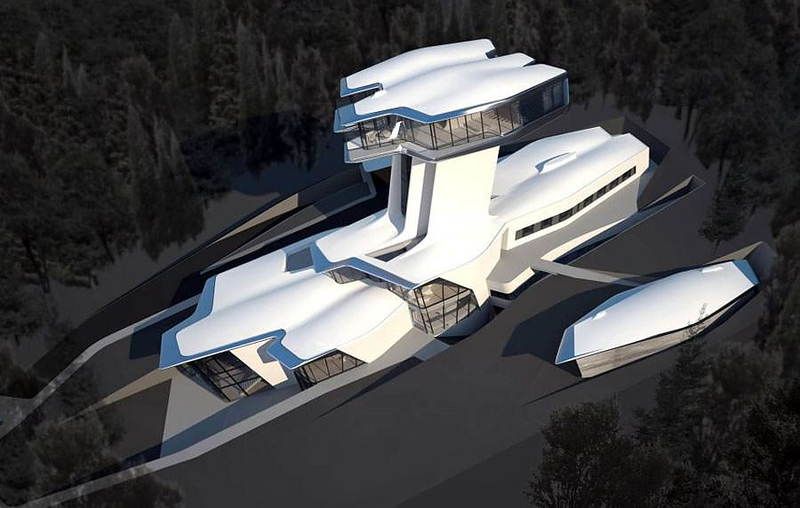 Famous architect Zaha Hadid will soon complete the ultra-futuristic house she was commissioned to build for supermodel Naomi Campbell. 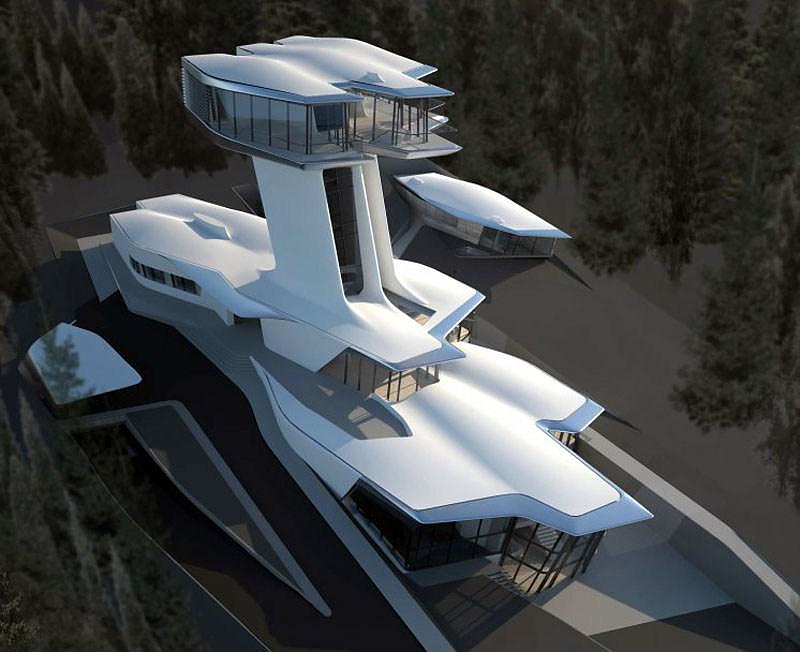 The Capital Hill Residence is an extravagant spaceship-like house located on the north-face hillside in Barvikha, just west of Moscow. 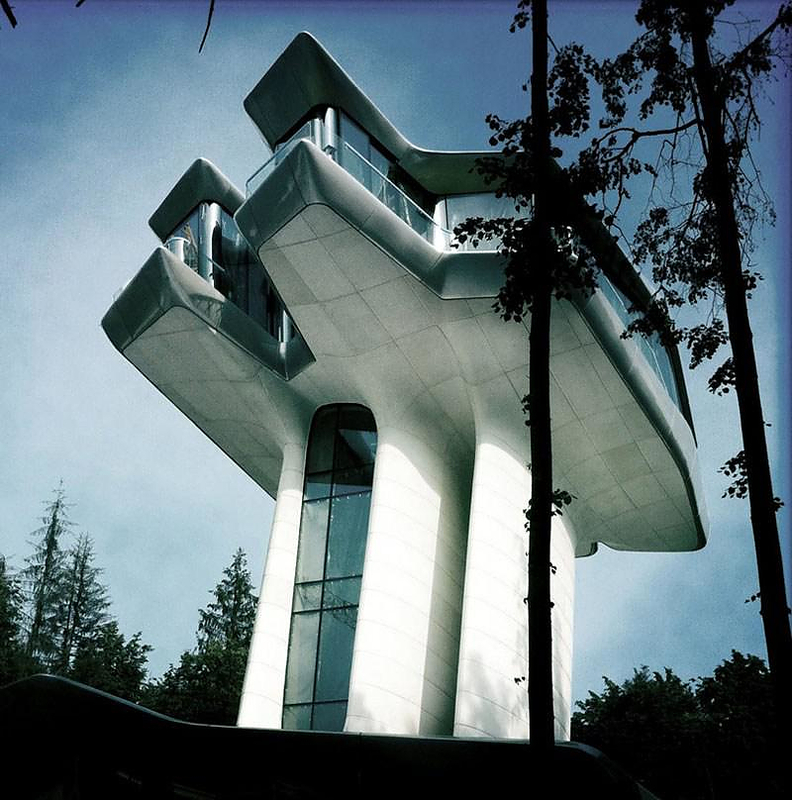 The impressive villa with the characteristic fluid geometry emerges from the landscape and reaches a maximum height of 22 meters.The building is divided in two volumes, one merging with the hillside and another floating above 20 meters above the ground, offering panoramic view of the forest. 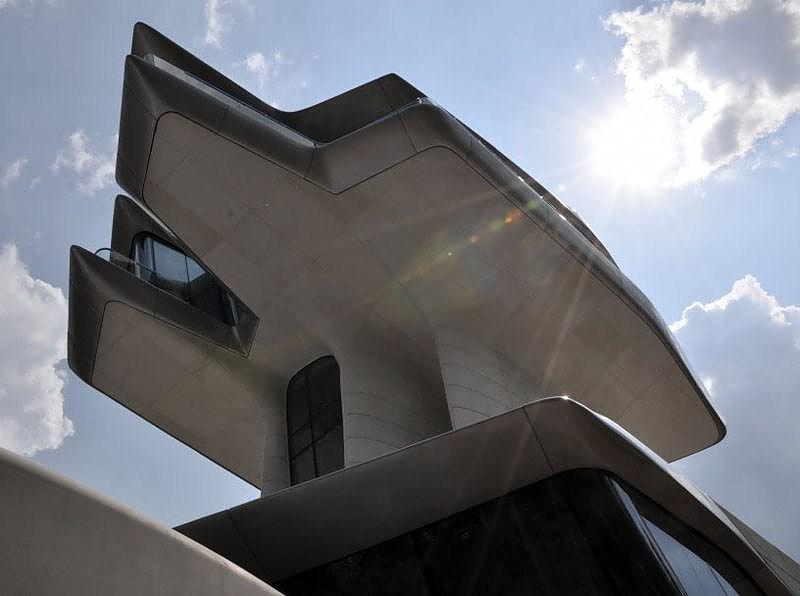 Zaha Hadid was allegedly inspired by the work of legendary Barcelona architect Antoni Gaudi, an aspect especially evident in the interior of the building. 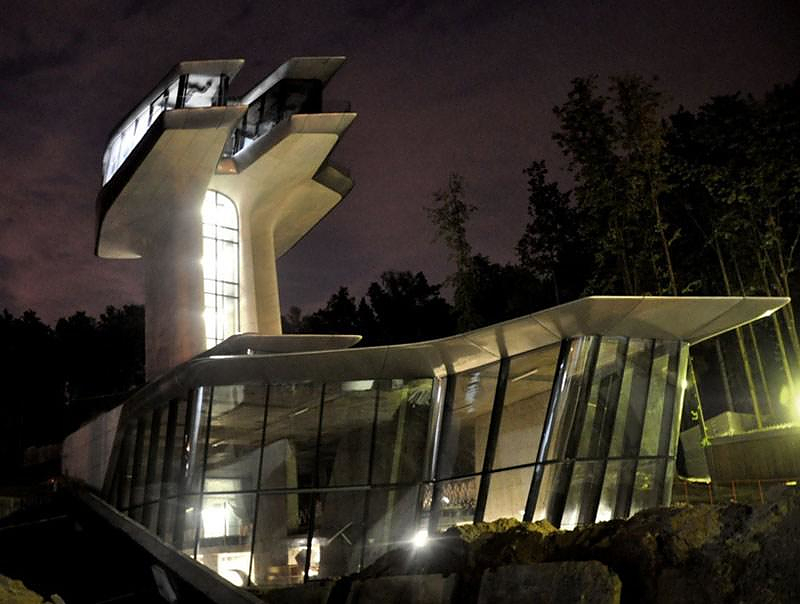 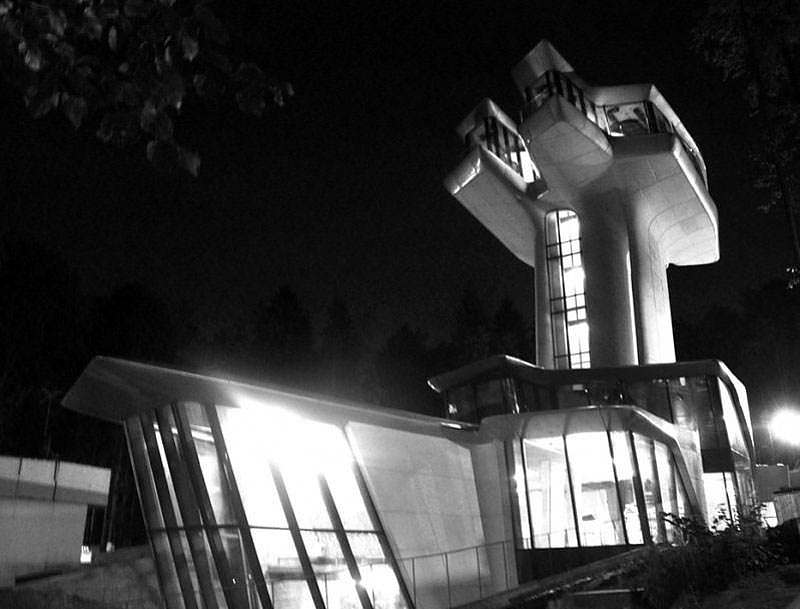 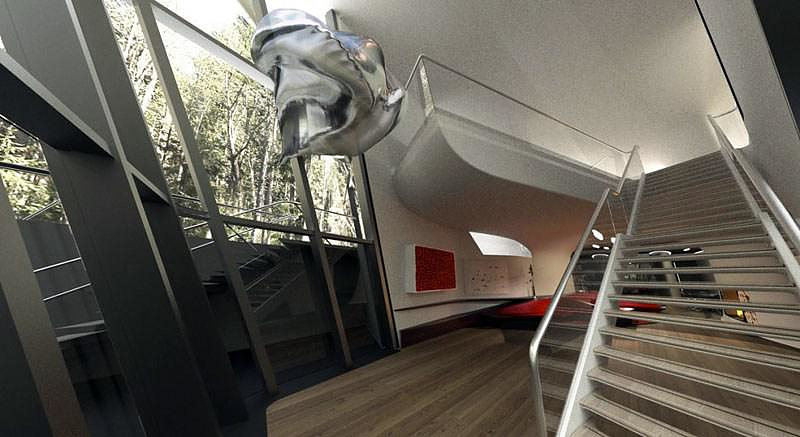 The Capital Hill Residence is to an extent a modernist take on Gaudi’s work, infused with Zaha’s distinctive style. 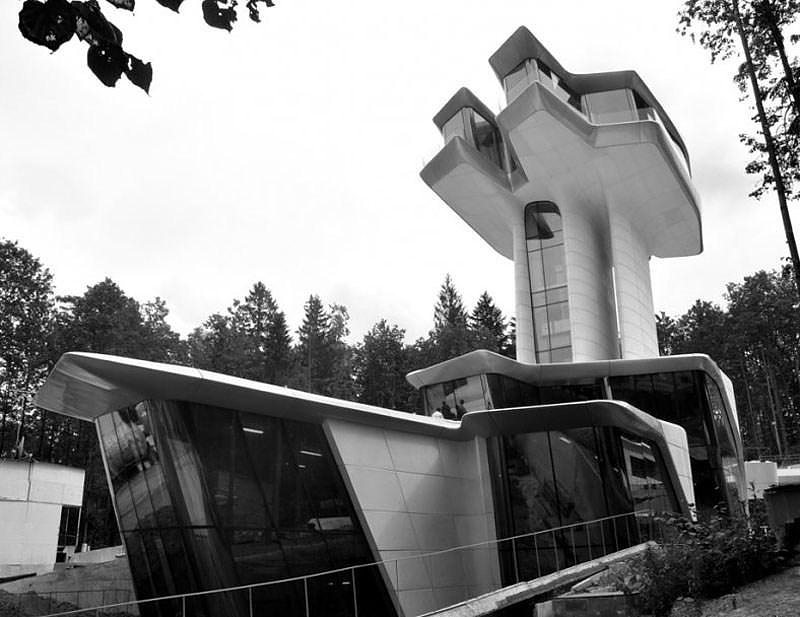 The 2650 square meter house is equipped with every type of luxury known to man, including a Finnish sauna, Turkish bath, Russian bath, gym, indoor swimming pool, and even a reception hall. 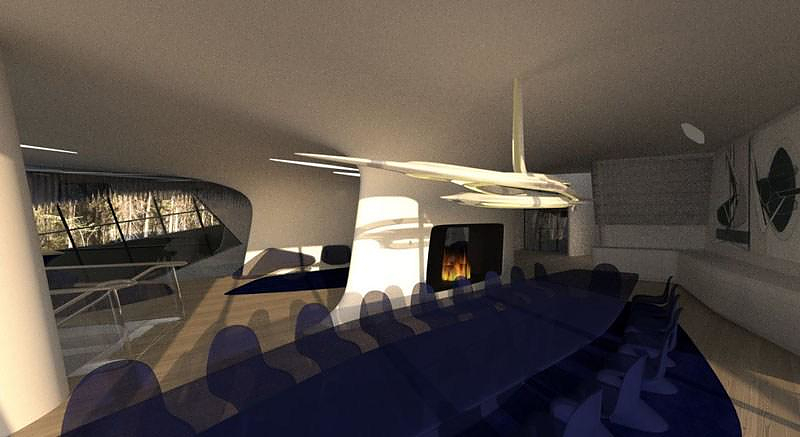 At this point we are certain that you are wondering how the supermodel managed to fund such a large scale project. 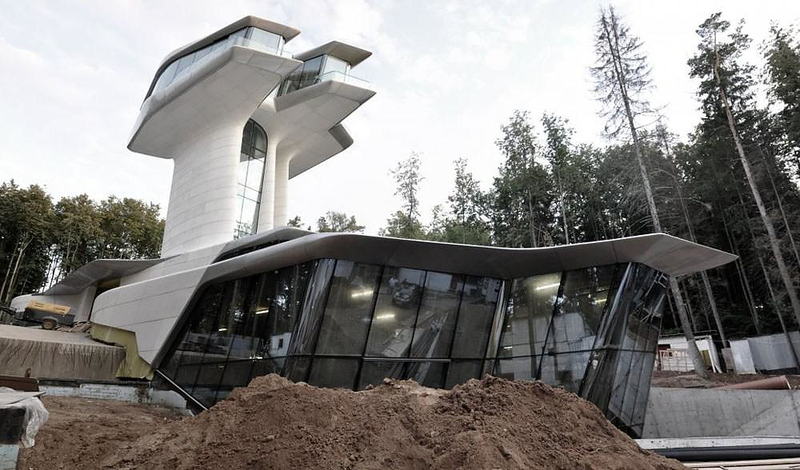 According to Pravda newspaper this impressive building was commissioned by Russian billionaire Vladislav Doronin, who serves as the chairman of the Board of Directors of Capital Group. 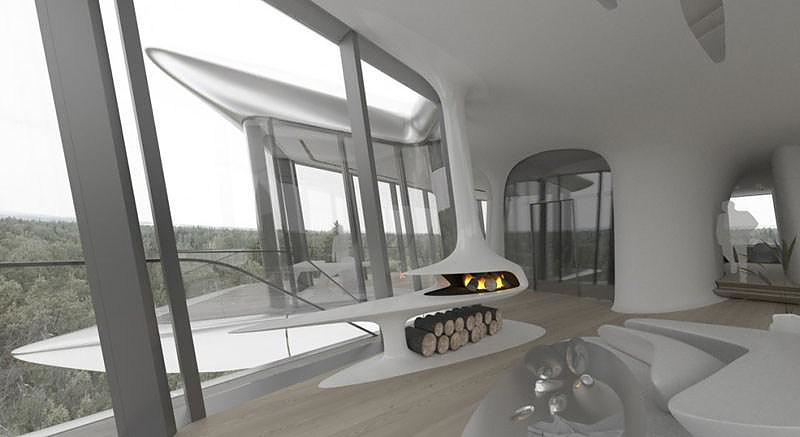 Doronin has built the futuristic home for his girlfriend Naomi Campbell with the intention of presenting the mansion to her as a wedding gift. 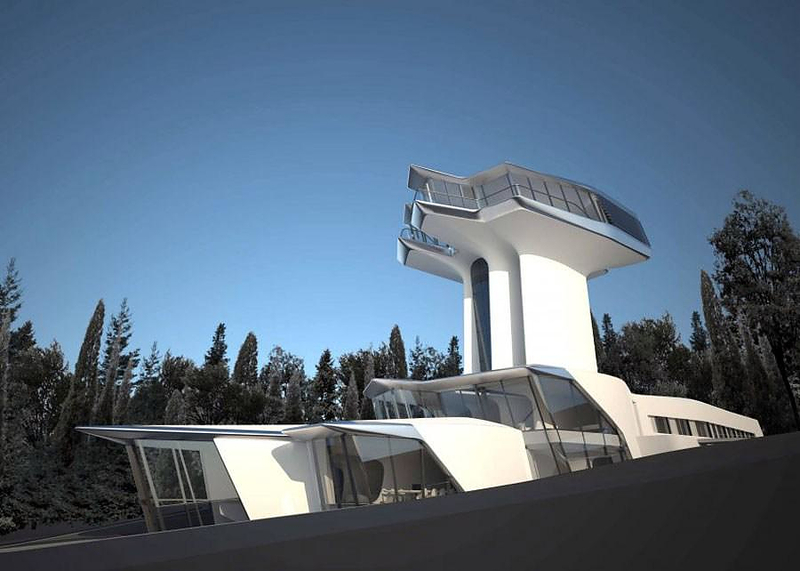 Interestingly, Zaha Hadid does not specialize in private housing and the futuristic mansion for the Russian businessman is a first for her.